There’s a few things I wish my mother would have told me about the holidays when I was a young mother, but I guess she was either too stressed out herself as a new middle-aged stepmother to take the time to encourage me or, on the bright side, she just thought I was doing a great job. But stress I did, and looking back down the corridor of time to those holidays when my children where young and my self-esteem not so intact, I’d give myself the same advice I am going to give to all of you beautiful young mothers. 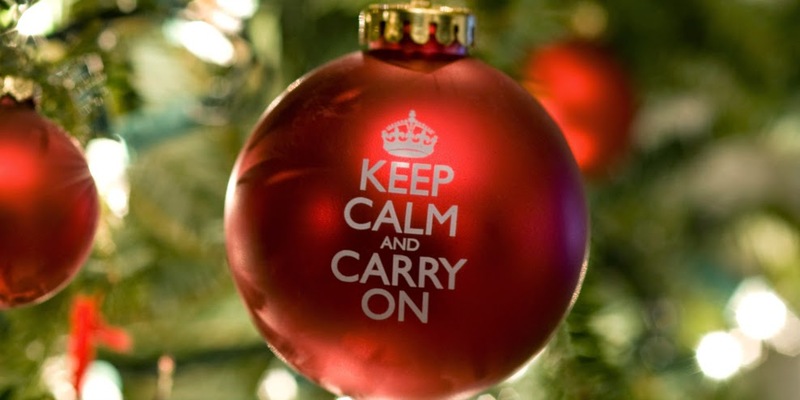 It’s party season and you are feeling frumpy, stressed, broke, and tired. After having the baby, you find yourself with no clothes, can’t lose the pooch, or don’t have one nickel to spare on sprucing yourself up. Listen up. It doesn’t matter if you can’t afford to dress stylish, get your hair done, lose the baby weight, or have that manicure. You are beautiful. You are enough. You are not who you used to be, but you are a better you and you have an important and tremendous job. There simply is no such thing as a hopelessly unattractive twenty or thirty something. You are in your procreating years and ladies, you are beautiful. Trust me on this one, you are enough. Fancy clothes, jewelry, and washboard abs do not matter. Just look at those sweet faces when you tuck them in at night. You will eventually get more rest, lose the weight, and buy something to wear. In the meantime, don’t squander the time wondering why you no longer look like your former self. Forget Pinterest and those crafty, clever ladies. Your children won’t remember the handmade gift wrapping paper years from now, but they will remember the time you spent making their holidays special. And perfection is not required. They don’t know and they don’t care that their home and their tree wouldn’t be featured in Better Homes in Gardens. Did you snuggle up with them? Shower them with kisses? Participate in their wide-eyed wonder of all the things that make up the holidays? Then you have succeeded. If you are a mother of young children, you likely still have single friends in the periphery of your life. Although they have money to spend on big expensive gifts, they don’t answer your call or show up when you need them—and it hurts. Remember, they haven’t yet been blessed with a nest like yourself and, let’s be honest, they are still a tad self-centered, just like you were before motherhood humbled you. You have made it into the mommy club and they are still searching for Mr. Right. So when that jealousy rises up in you over their sparkly New Year’s Eve party dress they have already picked out and their drop-dead gorgeous boyfriend with money to burn, remember: They are looking for what you have. Nuff said. God I wish I could tell you so you would really hear me on this one. The grass is not greener. Is your man awkward? Uncool? Silly? Poor? No matter if he loves and honors you. He probably thinks you are beautiful when your hair is a mess and you have baby spit up on your pants. And he would be right. Life is not a competition and people grow up—even in their twenties and thirties. And you will continue to grow and change along with your lover. Give him time. If he loves you and your little ones, he is enough. Grace is what we all need my beautiful young lady friends. Grace. God extends it to you every day. And what will make you that wonderful mother and power-house woman won’t be all of the things the world tells you you must have. It will be the grace and love you extend to others. And I want to let you in on a little secret, there is no Mr. Right. Life is a compromise and if you have someone willing to walk the walk with you, you are blessed. So take a deep breath, kiss your little one good night in a messy house, and lay down beside your imperfect lover. It’s all good. Trust me on this.